Our planet is at a critical point. How we currently inhabit Mother Earth is unsustainable and requires a shift: a shift from living off Mother Earth to living with Mother Earth. Indigenous cultures have always known this. We have already commenced the shift, “A Great Turning”, with the understanding that ‘we are all in this together’. My hope is to bring together the visions that women the world over have for Mother Earth, to help heal her – from my heart to your heart to the heart of Mother Earth. I invite you, your friends, family and colleagues to join this endeavour and infuse your vision into this cloth in whatever way you feel drawn to express yourself – tapestry, appliqué, painting, drawing, etc. We believe that when we allow our hearts to speak we hold the same visions for our future world. 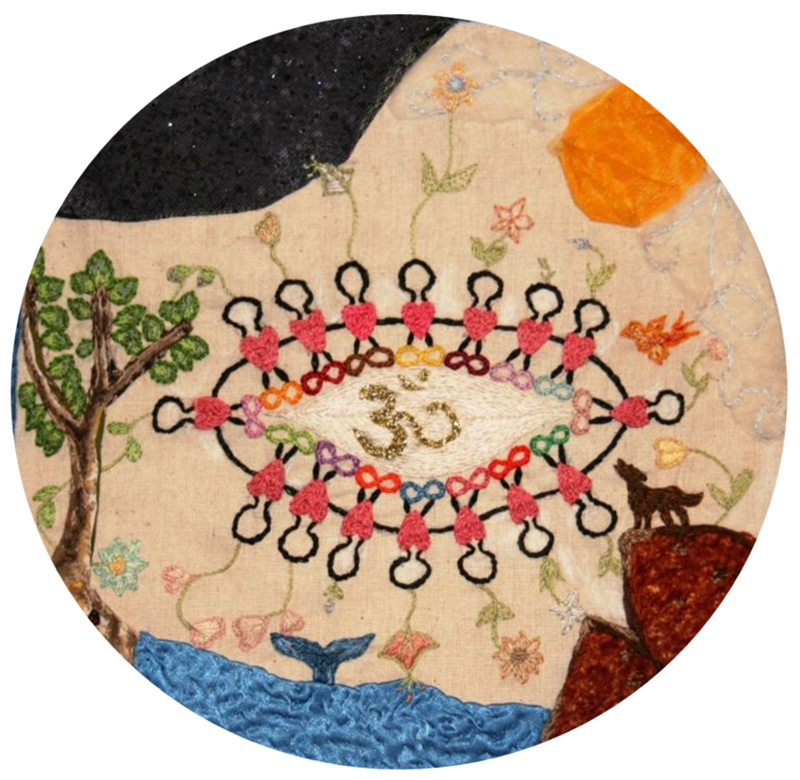 Each individual cloth is being stitched together into a beautiful quilt, shining the energy, love and vision of women for Mother Earth. 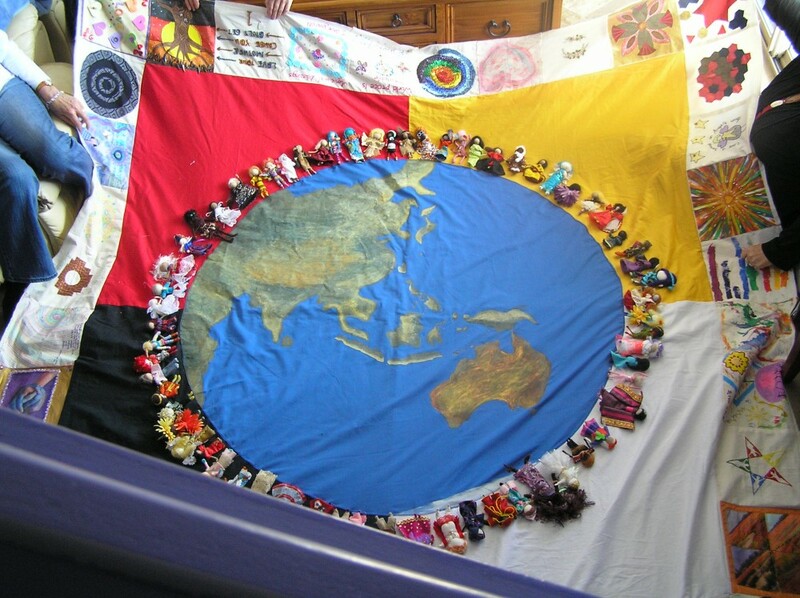 The quilt will not only represent our courage to see beyond the current state but will demonstrate the depth of our feelings and the strength of our numbers.